Facebook became closer to the snapchat application. The platform has roll out the Facebook camera including Facebook Camera Effects, stories, effects and the right tools. The new Facebook camera can be accessible by tapping on the camera icon present at the top left corner of the Facebook application. The camera had launched with effects like masks, frames and the filters where users can apply those filters to the videos and photos. Facebook stories help you in sharing multiple photos and video. The posts can be last up to 24 hours before they disappear and they will not appear on timeline or news feed. Along with the sharing of your story, users can also be able to share the photos, videos with friends by utilizing the direct option. There are two different tools on camera effects platform. How are Big Brands using Facebook Camera Effects? It also offers new ways to share and express. The camera effects are power by the Augmented Reality engine that was a feature with the face tracking. The platform was also including AR studio and the Frame Studio which can help users as a tool. These two tools can be utilized for the building of simple frame to most complex interactive effects. The Facebook Camera is very helpful for the diversified users, artists, designers as well as for the developers. The Facebook camera paves a new way to express the things. It is very useful to the professional artists, designers and for creators. The camera effects platform is the best medium to express and explore the stuff. When comes to developers, they can build an interactive and personalized experience that are driven by the codes like animations, touch interaction, etc. The AR studio helps in building the masks, animations and other advanced scripts. You can also design different effects which respond to the gestures, motion, and facial expressions, etc. Some effects are built without the need of scripting or with a single line of code. You can also add better interactivity with the scripts. Reactions to facial movements, taps, etc. can be shared. The Face tracker, Sensor data, and Scripting of API’s are the key features of AR studio. The Face tracker tracks the face and allows the creator to make some masks that exactly fit and respond to the movements without writing any line of code. The sensor data allows the developers for creation of effects on the movement of phone pan in the virtual world. Scripting the API’s allow Developers for accessing and downloading data as well as the responsive for the user interactions along with the real-time effects. Frame Studio is for artists. They are allowed to create different frames for their profile pictures. The creation of frames is very easy and artists can create different arts using the design tools and can build a frame on a desktop browser. Facebook Camera Effects can offer significant benefits to the businesses. The new effects were also available for the live streaming and interacting. With these new tools and features of Facebook Camera effects, Businesses can approach the customers and provide them the best interactive and immersive experience. Businesses can include the Facebook Camera effects platform as a part of their marketing and advertising strategy. They can promote their products images and can make different frames and designs to attract the customers or buyers. By using the effects on Facebook live broadcasts, businesses can engage the customers and viewers with creative effects and improves the interactions. There will be a new set of possibilities that can be explored using the AR studio effects in a promotion of your products or services. It can provide a different experience for the viewers as everything will be an immersive and interactive experience. By using the camera effects and tools, businesses can connect in a better way with their customers. Facebook has opened a new way to experience the augmented reality with its AR App. The official App is supporting the Live AR effects in camera. The overlay masks and different visuals can be added to the photos before sharing. The VR can be connected to the Spaces and users can identify the look and represent the same. The app is screen based and can deliver the 3D effects at high-level precision. There are soo many things to know about the camera platform launched by the Facebook. The Frame Studio and AR studio. With Facebook AR camera, users can deliver the AI with exciting tools in AR studio. 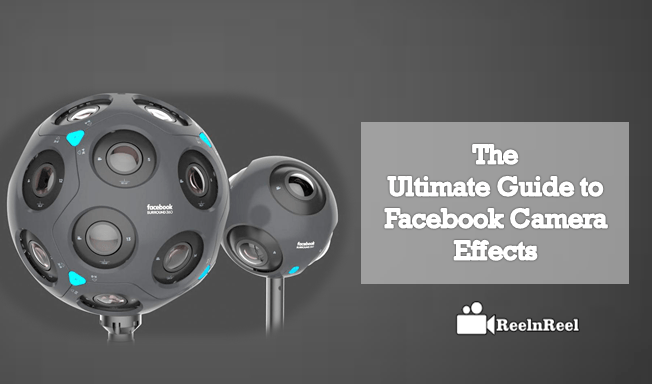 The Facebook AR camera has a portable GGI that allows the users to capture as well as to interact with the 3D scenes. It also recognizes the images, and for example, if you touch the coffee image, you can see the steam that goes virtually. They are many conventional filters in this camera where you can also paint your entire house with the AR camera. It is the best camera for Gamers too. The Facebook AR camera has good face tracking sensors as we discussed above in our article. The halo lens and glasses will provide the better information and effects on the go. Therefore, Facebook had taken a bigger step to the new VR and AR world allowing developers, users, artists and professional designers to be a part of this new world.